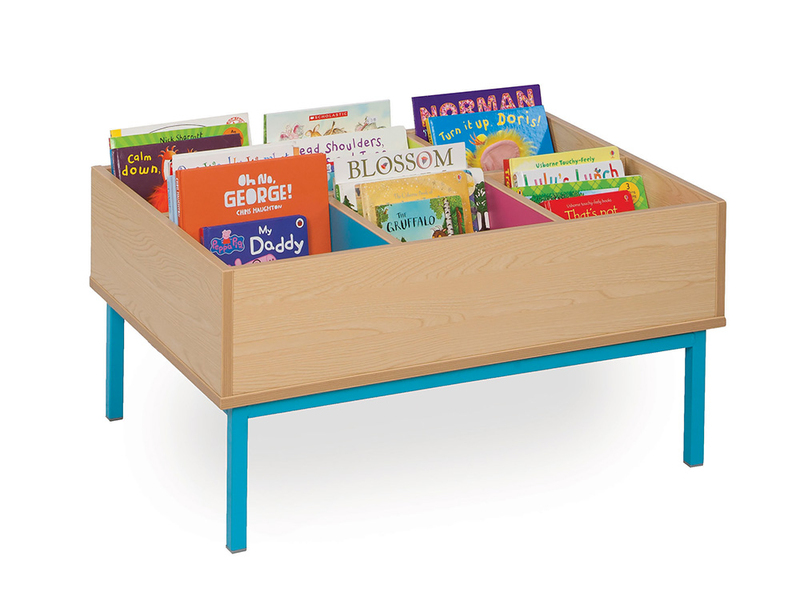 The Bubblegum kinderbox is a fun and colourful book storage solution designed for use in schools, pre-schools and nurseries. 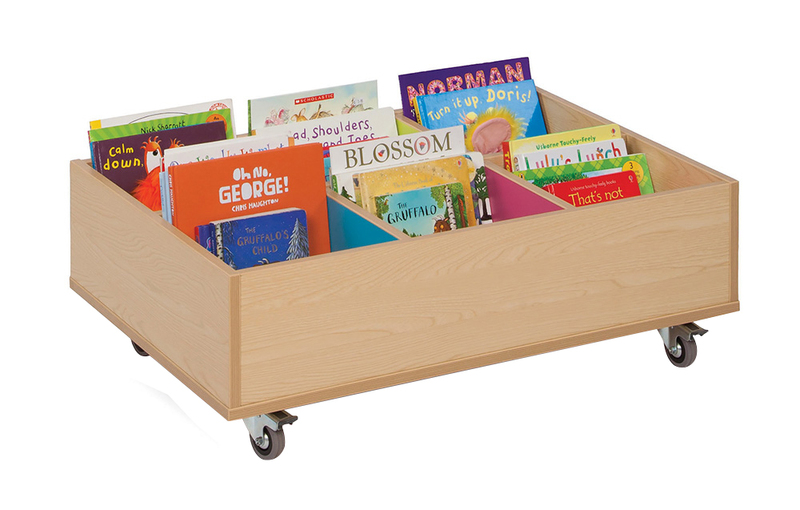 Perfect for displaying children’s books in a school library or classroom reading corner and a great solution if your space is limited. Constructed from 18mm MFC in a fresh Japanese Ash, complete with easy glide castor wheels for easy mobility. The 6 bay kinderbox has coloured inner-panels supplied as shown in the images. Perfect for adding a splash of colour to your reading area. 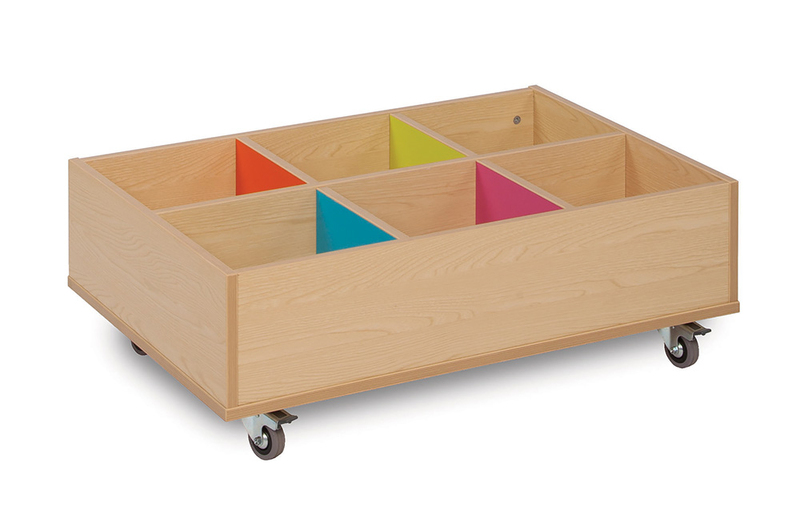 Choose to have your kinderbox on easy glide castor wheels or with a fully welded steel frame available in 4 frame colours – cyan, tangerine, lime or white.